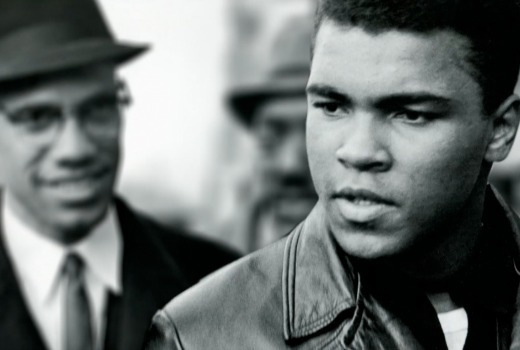 Next month the History channel will screen In Their Own Words: Muhammad Ali, a one hour special in which profile Americans reflect on an iconic boxing champion. Among those interviewed are NFL great Jim Brown, boxing champion Sugar Ray Leonard, rappers and actors L.L. Cool J and Common, boxing promoter Bob Arum, Rock & Roll Hall of Fame member Lloyd Price, and biographer Thomas Hauser plus Ali’s daughters Laila and Maryum Ali. This film follows Muhammad Ali’s rise from the Columbia Gym in Louisville, Alabama to international fame, as he transcended his great athletic achievements to become one of the most influential Americans of his time: how this once polarising figure ultimately became a beloved and honoured national hero. Key events include Ali’s stunning Islamic conversion and name change, his dramatic stand against the Vietnam-era draft, his 3-year exile from the ring, his legendary comeback fights, his battle with Parkinson’s disease, and his inspirational re-emergence on the world stage at the Atlanta Olympics. Saturday June 4 at 8.30pm on History.